The what's, why's and wherefore's of the Dubai Rent Dispute Centre - providing tenants and landlords with a legal backdrop to assist in rent disputes. We live in hope that all negotiations proceed smoothly and that agreement can be reached without resorting to the legal system. Sometimes, however, this is difficult if not impossible, and the only way forward when it comes to your tenancy contract is to take your case to the Dubai Rent Dispute Centre. This can be a little more intimidating than most other government centres simply because it is your personal story. We hope that this guide will take you through the procedure in the Dubai Rent Dispute Centre so that your worries are lessened. Of course, you need to know that you have a good case against your tenant, landlord or agent. One good piece of advice for living in Dubai is to keep every piece of paper relating to any property deals and/or rentals. To have a good case you need to have a strong paper trail and a note of discussions. If you don’t have a full paper trail, don’t worry, if your case is strong you should be able to resolve this issue. For example, if you do not have a copy of the current Tenancy Contract explain this to the officer. If you are unsure of your position you can visit RERA on Baniyas Road in the Dubai Land Department Offices. Parking in this area is very difficult. There is a large car park very close by, however, it is generally very very busy unless you arrive early in the morning (around 07.00/07.30h). Otherwise there is a multi-storey car park behind the Land Department building which charges AED 10 per hour. When you enter the Land Department main doors walk past the main reception, turn left or straight ahead depending on which door you enter through. You will see a few steps to the lift. Take the lift to the 2nd floor and turn left then right. The RERA reception is just in front of you. Speak to the receptionist and explain that you would like to discuss your problem with someone in RERA. He will ask you to take a seat. Go early if you don’t want to wait too long. Once you have decided that you would like to take a case against the other party then you need to visit the Dubai Rent Dispute Centre which is in the same building. 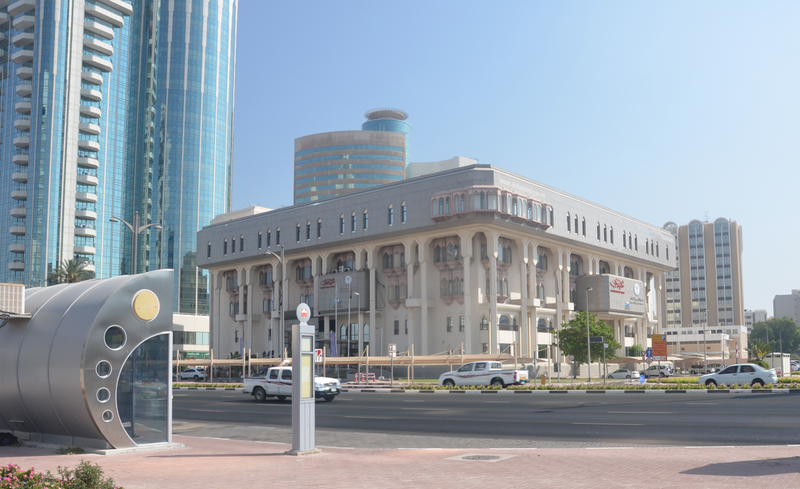 There are now new office spaces dedicated to the Dubai Rent Dispute Centre. Parking in this area is very difficult – be warned – and you need to pay. Alternatively, you can use the parking mentioned above. In most cases you will be more than one hour so it’s best, if possible, to use your phone and text 7275 with the details so that you can extend your parking time by text. Alternatively, you can park in public parking which is behind the Land Department building and walk to the Dubai Rent Dispute Centre (about 5 minutes). It is AED 10 per hour so much more expensive. Another alternative would be to go to the Sheraton Hotel, valet park, have breakfast and then go to the Dubai Rent Dispute Centre (again about a 5 minute walk). The bus and metro service are also closeby. See the RTA Journey Planner for further details. UPDATE JUNE 2015: THE FOLLOWING INFORMATION IS PRIOR TO THE RENT DISPUTE CENTRE MOVING TO THE LAND DEPARTMENT BUILDING. WE ARE WAITING FOR COMPLETE DETAILS BUT THIS IS ESSENTIALLY WHAT HAPPENS. PLEASE NOTE THAT THE HEARINGS ARE NOW HELD IN PRIVATE SO IT SHOULD BE LESS NERVE WRACKING! Explain to the receptionist (there are usually 2) that you would like to lodge a case against your landlord/tenant/agent. They will give you 2 sheets of paper with Arabic on one and Arabic and English on the other. Take your documents and these papers to typing. The best typing centre for this is in the same building. If the reception desk is on your right walk directly through to the back of the building and the office furthest away on your left hand side is the typing/translation centre. Granted it is tiny and granted it is crowded but they are fantastic. If your documents are in English then they need to be translated into Arabic as all Dubai Municipality offices conduct their business in Arabic. The cost as of 15 July 2014 is AED 35 per page. Before going there get all your papers in order and choose the documents which are concise and relate only to your case. The documents which are required are listed here, however, if some documents are missing for whatever reason go ahead with your submission – as long as you have the tenancy contract, your ID and EJARI certificate (bearing in mind that this is now mandatory in Dubai). You will be advised before full submission of your documents if anything is missing. The guy will translate the necessary documents. He will probably ask you to come back in a few days’ time depending on how busy he is and will ask for a cash deposit for which you will get a receipt. He will put the documents together and you then need to go back to reception and tell them the documents are ready. They will then give you a number. Take all the documents to the office mentioned on the screen when your number comes up. This guy will check that all the documents are there. Ensure you add the receipts for translation/typing. If you case is successful then all costs are paid by the other party. Then you go back to reception and explain the documents have been checked. She will give you another number. Go to the position when your number is called. The guy there will type up your case and give you a paper to take to the cashier. You pay 3.5% of your annual rent to the cashier. (This amount along with costs for typing/translation is returned to you if you win the case.) The amount is mentioned on the document received from the guy previously. The cashier is in the next building. So leave the main door of the Dubai Rent Dispute Centre and turn left. When you get to the next building (not far at all) go through the main door and turn left. Walk down the hallway and you will see the cashier sign on your left hand side, just past the reception area. Pay the amount to the cashier, take the receipt and go back to the previous clerk and give him the papers you received from the cashier. He will then give you a print out of the case hearing date. It is in Arabic apart from the time and date. The other party will be sent the same document by email so make sure you have provided the correct email address. It’s usual for the hearing to take place 2 or 3 weeks after you lodge the case. The hearings are held in the same building but you need to go to the 3rd floor. There is a lift to the rear of the building. When you arrive on the 3rd floor you will find people milling about. There is a stand with a list of the cases being heard that day. It gives you the Hall and the Committee Number. Check your case although it is also shown on the print out you received. You can enter the correct Hall (basically a room with wooden seating, a bench for the judges and a desk for the Committee Secretary) and take a seat. You will find that the other party in your case will (should) arrive as well as other people who are involved in their own cases. In all, the Hall probably seats about 50 people. The Committee Secretary will ask for IDs. He may appear and sound rather gruff but don’t let that fool you, he’s a nice guy. He’s doing his job which must be very difficult at the best of times as people are in a heightened state of nervousness. When your name is called you need to approach the bench where there are 3 judges presiding. They wear black robes with a red band down both sides as well as their usual head dress – ghutra. There is a translator available who will tell you what the other party has said. Do not feel intimidated. Do not talk in an aggressive or arrogant manner. Remain calm and polite at all times. It is usual for the cases to be heard very quickly and if you have nothing to add to your written statement just explain that. Do not argue with the other party. Talk to the translator as he will translate your comments to the judges. Keep it simple. For the most part the written document in Arabic, which you provided at the beginning of this journey will be the one to which they refer. The translator will tell you the date of the ‘judgement’. Keep your senses about you and write this down so you don’t forget. It is usually a few weeks after the hearing. You need to collect the judgement in person. It is a document which is legal and binding. You should then discuss with the other party regarding payment of any fees/charges to you (if you have won) or to the other party (if you have lost) – this was the advice received by one of the people in the offices, however, what you need to do is wait 15 working days and if the other party doesn’t appeal you then take the judgement to the typing centre and they will execute it for you. Execution of the judgement is another matter. If you were the successful party and you are the tenant do not let the landlord bully you into paying the full rent. You must deduct the 3.5% you paid at the beginning from any rental payments. The Dubai Sherpas would like to clarify the following: you do not need to bring your own translator. Although all proceedings are in Arabic, the judges do not talk to the other party without a translation by the Court translator and as long as you are polite to the judges and the translator there should be no problem. These people are doing their job and sometimes it must be very difficult for them to deal with awkward people involved in a dispute. If you remain calm and polite at all times you will be treated with the same degree of respect. Remember to dress appropriately – this is a legal hearing.